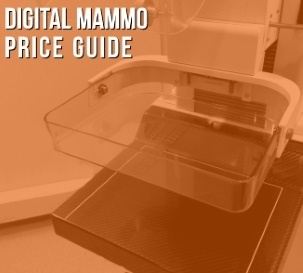 The video below reveals current average pricing for the most popular digital mammography equipment available on the secondary market from both GE and Hologic. Pricing includes delivery, installation, and a one-year service agreement for domestic buyers. Click here for a custom quote on digital mammography systems. The estimates listed above include installation and the first year of service throughout the USA. If you would like more detailed information on pricing or for planning your next digital mammography project, please let us know your needs with the button below. Jason Block is the Product Manager for Women’s Health Equipment at Block Imaging. Helping to match customer’s needs with equipment solutions is energizing for him. When Jason is not working, he enjoys coaching his kids’ sports, working out, and playing handball.